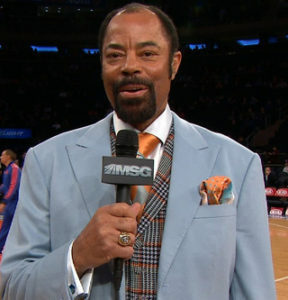 Walt Clyde Frazier, one of the greatest players in NBA history and (in)disputably greatest Knick of all time, spends much of HIS time at MSG, broadcasting games via his inimitable stylized commentary and BBall knowledge. Can he be persuaded to impart his knowledge of the game to the raw energy and athleticism of NYK point guards of the future, Tony Wroten and Jerian Grant, have them tone down their game and tone up their bball IQ? 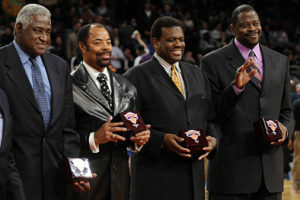 Clyde was teammates with current Knicks prez Phil Jackson in their respective rookie seasons; roomed, traveled, played and won 2 championships together with their beloved Knicks. Both men are winners and Zen Masters in their chosen professions; Clyde as player, broadcaster, writer, speaker, commercial endorser; Phil as player, coach, writer and president, the latter yet to be fully realized with a chip. Will Phil acknowledge the knowledge of old friend Clyde, who has watched and commentated brilliantly with MSG since 1998? 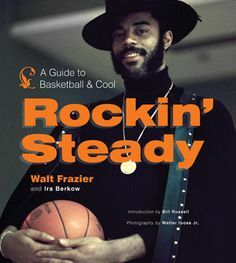 Clyde’s commentary is laced with opinions and knowledge of the game (“see the ball, see your man!“) and of the current crop of players whom Phil has assembled. 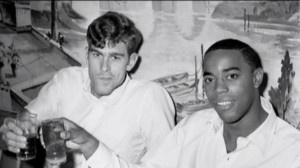 I would like to see Phil assemble the old time Knicks, many of whom come to games and sit with Phil (Bill Bradley) or work with MSG (Earl Monroe, Bernard King et al), to be coaching mentors to the current squad. 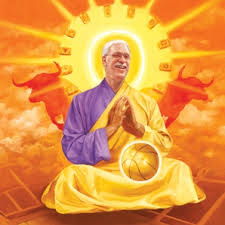 If Phil wants to be a winner, why not have the greatest veterans who ever played the game, FOR the Knicks, AT the Garden of Dreams, BE mentors and commentators with the team, at workouts, at games. Allan Houston is working with Tony Wroten? EXCELLENT! let’s move forward in that direction and have sessions both on and off the court, on how to be the best they can be, and have a winning mentality. 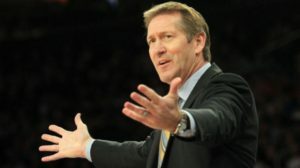 I look forward to seeing new coach Hornacek, with his impeccable basketball career and tremendous bball acumen, talking to Clyde about the Suns’ offensive attack, and how it relates to current core of Knicks, including Melo, Porzingis, Lopez and #NYKPG Wroten & Grant. Jeff’s got his Horny hands full! Let’s hope Coach Hornacek and President Jackson collaborate with the basketball minds of the greatest Knicks of all time. I’m sure they would all appreciate the opportunity, as would Knicks fan appreciate the thought. 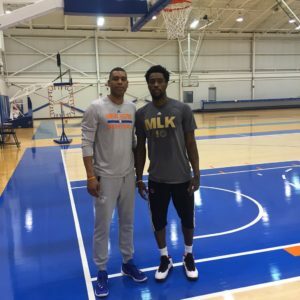 This entry was posted in Phil Jackson Great BBall Minds and tagged #BernardKing, #Clyde, #EarlThePearl, #Frazier, #JeffHornacek, #JerianGrant, #Knicks, #KnicksOnCrack, #Melo, #PhilJackson, #Porzingis, #RobinLopez, #Starks, #TonyWroten. Bookmark the permalink.